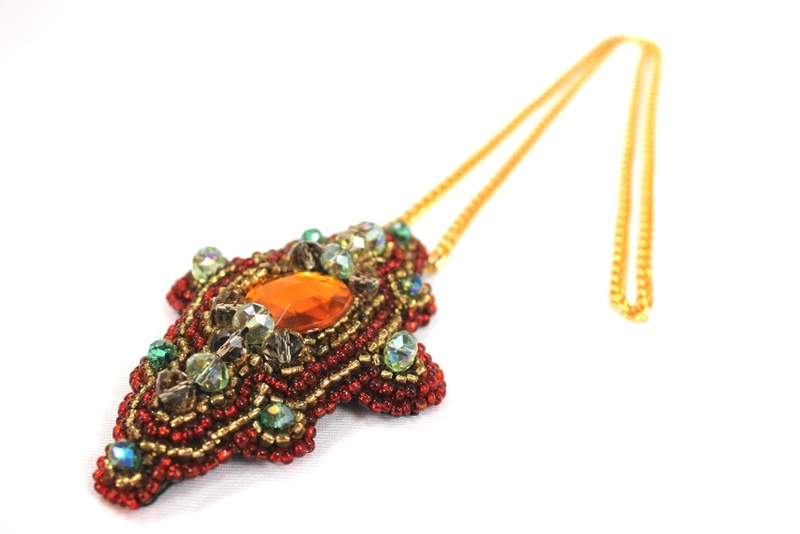 An easy-to-wear necklace made up of aluminum chain, displaying a stunning loose “T’ pendant of orange colored German crystal focal points, accented with gold and red seed beads and brought together with a hand sewn synthetic leather back covering. This beautiful ring sparkles in any way your hand turns, This artistically wired taupe agate stone in the middle is surrounded by Silver German crystals, with gold toned aluminum wiring. Adjustable to fit any finger. This eye catching piece is made of grey and black obsidian chips clustered together to form this U shape. 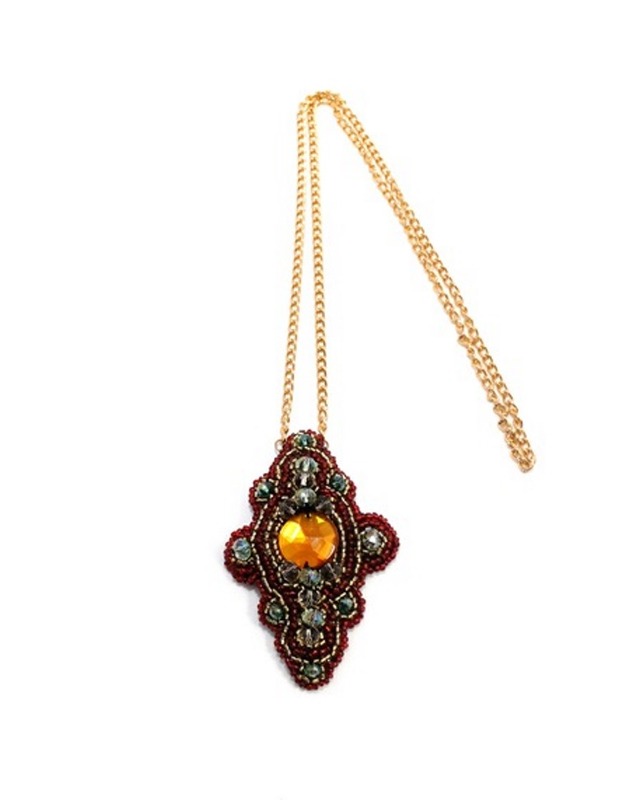 Enforced with black felt backing, Black ribbon makes this piece adjustable in length.